The information posted on this website is for informational/educational purposes only. It should not be considered medical advice and is not intended to replace consultation with a qualiffied medical professional. You are advised to consult with a qualified physician for additional information and actual medical advice before making any decisions regarding anesthesia or other health care matters. 1. Who’s in charge of my anesthetic? 2. What does my anesthesiologist do during surgery? 3. How risky is anesthesia? 4. Why can’t I eat and drink before anesthesia? 5. What kind of anesthesia will I have? 6. What is a general anesthetic? What are the side effects and possible complications? 7. What is regional anesthesia? 8. What is a spinal anesthetic? What are the side effects and possible complications? 9. What is an epidural anesthetic? What are the side effects and possible complications? 10. What is a local anesthetic? What are the side effects and possible complications? 11. Can I get a preoperative sedative before I go to surgery? 12. What are my possible options for pain relief during labor and delivery? 13. Who performs spinal and epidural anesthesia? 14. What is an epidural anesthetic? 15. How is an epidural catheter placed? 16. What kind of pain relief can I expect from an epidural anesthetic? 17. Will an epidural slow my labor? 18. Will an epidural increase my chances of needing a C-section? 19. What is a spinal anesthetic? 20. What are the most common side-effects of epidural and spinal anesthesia? 21. What are the possible complications of epidural and spinal anesthesia? Your ASMG anesthesiologist is a physician who is board certified (or board eligible) in anesthesia, either by the American Board of Anesthesiology or the Royal College of Physicians and Surgeons in Canada. To become eligible to take these board exams, a physician must successfully complete four years of medical school, an internship and at least three years of intensive training in anesthesia. Many of the ASMG anesthesiologists have additional specialty training. You will meet your anesthesiologist prior to going into surgery. Your anesthesiologist will ask some questions about your health and/or ask you to fill out an anesthesia questionnaire. Your anesthesiologist will discuss the planned anesthetic with you. Please feel free to ask as many questions necessary for you to feel comfortable with the anesthetic plan. An anesthesiologist is with you the entire time you are in surgery. He/ she will be monitoring your vital signs and adjusting the anesthetic. Your anesthesiologist may also monitor your fluid and blood volume, and the functioning of your heart, lungs and kidneys with special monitors. Along with the anesthetic, your anesthesiologist may also administer IV fluids, blood, antibiotics and other necessary medications. 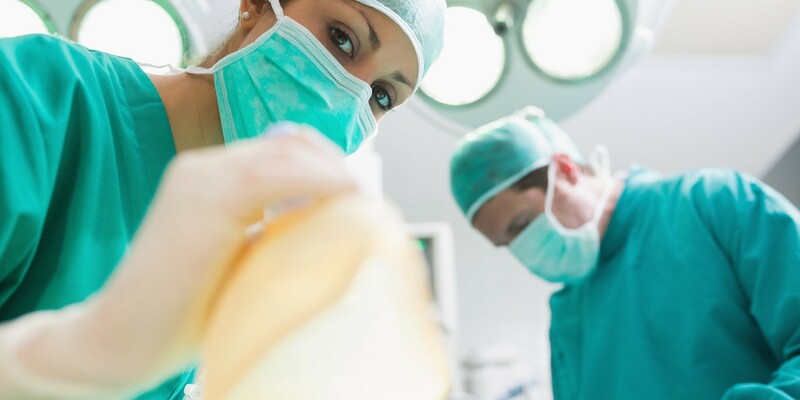 Your anesthesiologist will accompany you to the recovery room or intensive care unit when surgery is done. He/she will stay with you until you are stable and the anesthetic is wearing off. In general, the risk of serious injury or death during anesthesia is about the same as the risk when going for a car ride. Because you are in a car almost every day, you may not consider driving particularly risky. However, you probably rarely undergo an anesthetic so you may find yourself anxious before surgery. Remember that it is extremely unusual for healthy patients to have serious complications from anesthesia. However, a number of health problems may increase the risk of complications such as smoking, lung disease, heart disease, kidney failure, diabetes, and obesity. If you have any of these health problems, be sure to discuss them with your anesthesiologist. While under anesthesia, you lose your protective reflexes such as coughing. However, it is possible to throw up during an anesthetic and easily aspirate gastric contents (in other words, whatever was in your stomach can end up in your lungs). If you have eaten or had fluids recently, there is more acid and particles in your stomach. Aspiration of this could cause extensive damage to your lungs. This “aspiration pneumonia” was one reason many people died under anesthesia many years ago before NPO (“fasting”, or nothing by mouth) guidelines were instituted. During emergency surgery, many precautions are taken to limit the risk of aspiration pneumonia in patients with a “full stomach.” However, it is best to follow the fasting guidelines set by your anesthesiologist for elective surgery. You may be asked to take some or all of your usual medications with a few sips of water before surgery – these are usually dissolved and out of your stomach by the time anesthesia starts. Your anesthesiologist may also recommend that you take certain antacids prior to your anesthetic if you are at risk for aspiration. The type of anesthesia you receive will depend on the type of surgery, your medical condition, your surgeon’s preferences, and your wishes. Your anesthesiologist will discuss all options available to you and make a suggestion for the type(s) of anesthetic. If you have any questions or concerns, please feel free to discuss the anesthetic with your anesthesiologist. A general anesthetic usually starts with the IV injection of a medication that causes rapid loss of consciousness. Occasionally, anesthesia starts with the use of an inhaled anesthetic gas. This is usually easier and more comfortable for children. After the anesthetic has started, the anesthesiologist will use a combination of IV medications and anesthetic gases to keep you asleep during surgery. The anesthetic gas is turned off at the end of surgery when it’s time to wake up. Frequently, patients feel only moments have gone by when in reality, several hours may have passed. Drowsy and tired feelings for hours after surgery. Anesthetics wear off at different rates in different people. Most people are awake enough to answer simple questions within 5-10 minutes after surgery, although many have short term memory loss, so that hours after surgery you may feel as though it took a long time to wake up. Many people also feel tired enough to sleep for long periods of time after surgery even though they can easily be awakened. The pain medications you get after surgery may also prolong these feelings of sleepiness. Nausea. Approximately one third of people undergoing general anesthesia experience some nausea. If nausea has been a problem with past anesthetics, let your anesthesiologist know — there are a few things that can be done to help. Nausea can usually be treated quickly with medications, but a few people experience marked nausea despite our best efforts. If you have had problems with nausea after general anesthesia you might consider a regional or local anesthetic if these are options. Headache. This occurs in approximately 10% of patients and is more common in patients prone to headaches and in patients who drink coffee (due to caffeine withdrawal). Sore throat. While you are asleep you may have a soft plastic device in your throat to make sure your airway is open and air is moving in and out easily. Even when placed very carefully and delicately, you may experience a sore throat. This usually resolves in a day, but if there has been some difficulty in placing the plastic airway device, sore throat and hoarseness may persist for longer. Permanent damage to your throat or vocal cords is very unusual. Damage to teeth. This is also usually due to the plastic airway device. Damage to teeth can happen during placement (even if the anesthesiologist is very careful) or on awakening if you bite down very hard on the plastic. Be sure to let your anesthesiologist know if you have loose teeth or delicate dental work. Many people ask about the possibility of being awake and aware during surgery when they are supposed to be unconscious. This is exceedingly uncommon but may happen under unusual circumstances such as emergency surgery for a patient in shock – the patient’s vital signs may be so weak that they cannot tolerate much anesthetic. Remember that during a local or regional anesthetic you may be awake during all or part of the procedure depending on the amount of sedation given. There are also a number of very rare but severe complications of general anesthesia such as injury to nerves, organs and possibly death. Some health problems may increase your risk of complications — please thoroughly discuss your health with your anesthesiologist. Regional anesthesia is a technique to render a portion (or region) of a patient’s body insensate to pain for a surgical procedure, as well as provide pain relief after surgery. Regional anesthesia is divided into two main categories: neuraxial anesthesia (Spinal and Epidural Anesthesia—please see their sections below for greater detail) and peripheral nerve blocks. Peripheral nerves supply sensation to different parts of the body such as shoulders, arms, hands, legs, knees and feet. With the aid of ultrasound guidance or low level electrical stimulation, your anesthesiologist can identify the correct nerves for the surgical site and inject anesthetic agents (usually a local anesthetic similar to Novocain as used in dental procedures) near the nerve, rendering the surgical area numb. In some instances a sterile catheter may be inserted to allow medication to be continuously administered for up to three days after your procedure. During these techniques an adult patient may receive sedation. Once the regional anesthetic is performed patients may receive additional sedation up to and including a general anesthetic as the surgical case or patient preference warrants. As with any procedure, regional anesthesia has risks associated with it including, but not limited to infection, bleeding, temporary nerve injury, permanent nerve injury, and even death. However, these risks are extremely rare. For more information please speak with your anesthesiologist or visit the Patient Info section of the American Society of Regional Anesthesia’s website at http://www.asra.com/patient-info.php. A spinal anesthetic is an injection of medication in the lower part of the back. The medication is injected by a very small needle into the spinal fluid where it spreads out to numb the nerves that go to the lower half of your body. You may feel a tingling sensation or warmth spread over your legs as the medication begins to work. However, most people won’t feel any unusual sensations, but will notice that it is impossible to move their legs when the spinal anesthetic is working. Your anesthesiologist may test the level of anesthesia a few minutes after the injection to make sure it is working well. Many patients want to know if the spinal injection hurts. In general, the spinal anesthetic is no more painful than having an IV started. Usually an injection of local anesthetic is given at the skin level so that the placement of the spinal needle is not felt. Occasionally, you may feel an electric sensation down one leg — let the anesthesiologist know immediately so he or she may adjust the angle of the needle to make it more comfortable for you. The spinal injection may be difficult due to anatomic abnormalities such as scoliosis or unusual bone formation around the vertebra in the lower back. Your anesthesiologist may ask you to curl up and push you lower back out toward them. This straightens your back and increases the size of the small openings the spinal needle must go through. If you feel anxious about the spinal injection, your anesthesiologist may give you a sedative to help you relax. It’s best not to have you fully unconscious during the spinal injection since your anesthesiologist will probably need your assistance with positioning. Spinal headache: Approximately 1% of patients will develop a headache within 24 hours after the spinal anesthetic. The cause of the headache is a slow leak of spinal fluid out the hole left by the needle. Changes in the shape and size of the needle have greatly reduced the incidence of this problem. Although a spinal headache is not life threatening, it can be quite uncomfortable. It is almost always more painful in the sitting or standing position than lying down. For many years, it was assumed that lying flat for 24 hours after a spinal injection would reduce the risk of spinal headache. We know now that position does not increase the risk. The headache will resolve spontaneously but this may take weeks. If the headache is mild, it may resolve quickly by drinking more fluids and taking caffeine. If the headache is severe and incapacitating, an alternative treatment is the “blood patch”, which can usually resolve the headache within an hour. The blood patch is about 99% effective in relieving the headache, but often causes a pressure feeling in the lower back for a day. Serious complications from the blood patch are very rare and include infection or irritation of spinal nerves. Difficulty urinating after the spinal anesthetic. Even when the spinal anesthetic appears completely resolved, it may be difficult to urinate for up to 24 hours. This problem is most common with older men (especially with prostate enlargement). If a bladder catheter is planned for surgery and postoperative care, difficulty urinating is not an issue. However, inability to urinate may delay your discharge from the hospital for “same day” surgeries. Low blood pressure. A spinal anesthetic normally lowers blood pressure about 10 to 20 percent, and blood pressure returns to normal when the spinal anesthetic resolves. Occasionally, blood pressure falls more that expected, but can be treated quickly with IV fluids and medication. Low blood pressure may make some feel dizzy and nauseated. On some occasions the blood pressure may be slow to return to normal even after the spinal anesthetic has resolved. These patients are kept in the recovery room and treated until their blood pressure has returned to a normal range. Certain blood pressure medications are more likely to increase the possibility of these problems. Thankfully, serious complications of spinal anesthesia are very rare. The possible complications include infection, nerve damage, and death. Although many people fear nerve damage from a spinal anesthetic, the incidence of nerve injury from a spinal anesthetic is no greater than the incidence of nerve injury from general anesthesia. For more information on spinals, please visit the Patient Info section of the American Society of Regional Anesthesia website at http://www.asra.com/patient-info.php. An epidural anesthetic is very similar to a spinal anesthetic except the epidural needle does not puncture the sac that holds the spinal fluid. Instead, a tiny tube or catheter is inserted through the needle and comes to rest just outside the sac. Numbing medication is given through this tube that gradually gets absorbed through the sac and into the spinal fluid. The epidural anesthetic therefore takes longer to provide pain relief.. The benefit of an epidural anesthetic is that it can last much longer than a spinal anesthetic by leaving the soft epidural catheter in place and continually giving medication. This flexibility is what makes epidural anesthesia the choice for relief of pain during labor. Many times the epidural catheter is left in place after surgery in order to give medication through the tube to help manage postoperative pain. Many patients ask if the placement of the epidural catheter is painful. In general, the placement of an epidural catheter is no more painful than placement of an IV catheter. Usually an injection of local anesthetic is given at the skin level so that the placement of the epidural needle is not felt. Occasionally, you may feel an electric sensation down one leg — let the anesthesiologist know immediately so he or she may adjust the angle of the needle to make it more comfortable for you. Epidural placement may be difficult due to anatomic abnormalities such as scoliosis or unusual bone formation around the vertebra. Your anesthesiologist may ask you to curl up and push you lower back out toward them. This straightens your back and increases the size of the small openings the epidural needle must go through. If you feel anxious about the epidural, your anesthesiologist may give you a sedative to help you relax while the epidural is being placed. It’s best not to have you fully unconscious during the epidural placement since your anesthesiologist will probably need your assistance with positioning. Possible complications from epidurals are very similar to those from spinal anesthetic (see question 7). Side effects can also occur when the catheter does not end up in the correct position. Epidural catheters are placed by feel so even a very experienced anesthesiologist cannot know exactly where the end of the catheter lays. When the anesthesiologist places an epidural, they will give a small amount of medication called a “test dose” to help them determine the position of the catheter tip. If the catheter is not is the correct position, the catheter is usually removed and replaced. Sometimes the catheter can end up in a place where the numbing medicine cannot get into the spinal fluid sac and the epidural fails to work or makes only a few nerves numb. Occasionally the catheter ends up in a blood vessel and the numbing medicine gets into the blood circulation. If the epidural is in a blood vessel, you would experience dizziness, ringing in the ears and /or an increase in heart rate when the “test dose” is given. If the epidural needle or catheter ends up puncturing the spinal fluid sac, a spinal headache is possible and treatment is the same as for spinal headache. The administration of numbing medication intended for an epidural but given directly into the spinal fluid may result in the rapid onset of a high spinal anesthetic, a sharp drop in blood pressure and difficulty breathing. Again the small “test dose” helps the anesthesiologist determine the location of the catheter tip and usually prevents these problems from occurring. Other major complications from an epidural anesthetic are extremely rare and include infection, bleeding, seizures, nerve damage and death. Although many people fear nerve damage from epidural anesthesia, the incidence of nerve damage from epidurals is no greater than the incidence of nerve damage during a general anesthetic. For more information on epidurals, please visit the Patient Info section of the American Society of Regional Anesthesia website at http://www.asra.com/patient-info.php. During a local anesthetic, a numbing medicine is injected around the surgical area. This injection may be done either by the surgeon or the anesthesiologist. Often, the anesthesiologist will give a sedative prior to the injection to make the procedure more comfortable for you. Many times the sedative causes a brief lapse of memory, and you may feel as though you have been asleep for part or all of the surgery. There may be moments during the surgery when you feel a pressure sensation where the surgeon is working. The anesthesiologist will be with you the entire surgery. Let them know if anything feels uncomfortable and they will make you more comfortable. The benefit of local anesthesia is that there are very few side effects or complications, and recovery time is usually faster than for other types of anesthesia. If the sedation becomes very heavy, the possible complications are similar to those of a general anesthetic. If a large amount of local anesthetic gets into the blood circulation, you may feel dizziness, ringing in your ears, and/or an increase in heart rate. Very rarely, a seizure may occur. After speaking with your anesthesiologist and signing all consents you may usually have a sedative to relax before going into the operating room. Some women prefer natural methods such as Lamaze. These techniques are usually taught outside the hospital prior to labor. Your obstetrician may prescribe intravenous (IV) or intramuscular medication for pain. These usually relieve pain for a few hours, but may make both you and your baby sleepy. Your obstetrician may request an anesthesia consult for spinal or epidural pain medication (more information below). You may also combine techniques. For instance, you may start out in labor using natural relaxation techniques, but later choose intravenous medication. If the IV pain medication wears off before delivery, you may decide to request an epidural or spinal anesthetic. Spinal and epidural anesthetics are performed by anesthesiologists (medical doctors with training in anesthesia). Anesthesiologists are present in labor and delivery area of the hospital to provide pain relief, anesthesia for C-sections, and to assist the obstetrician with complex medical problems that may present during labor and delivery. Epidural anesthesia is a type of regional anesthesia (i.e. it affects the lower region of your body). This is accomplished by the placement of a very small plastic tube into the lower back. One end of the tube rests just outside the sack that holds spinal fluid. A dilute solution of numbing medicine and narcotic is placed through the tube and gradually bathes the nerves going to your lower body to relieve pain. Medication can be given through the tube continuously and either increased or decreased as needed to keep you comfortable during labor. These medications stay in this area of your back and do not enter your blood stream in significant amounts. Because of this, you and your baby are not sedated. However, the epidural anesthetic may be started at a time in labor when you are very tired and you may naturally fall asleep when the pain goes away. Epidural anesthesia works quite well and about three-quarters of women delivering in hospitals request this type of pain relief. If you choose to have an epidural anesthetic, the anesthesiologist will ask you to curl up on your side or sit up with your knees bent and head down. These positions curve your lower back and separate the bones in your spine. The anesthesiologist will wash your back off with antiseptic and then inject a local anesthetic to numb the small area where the epidural will be placed. The anesthesiologist will ask you to do your best not to move at this point. A needle is placed in your lower back (between the bones) and the catheter is inserted through the needle. You may feel a brief tingling sensation down one leg during this process. The needle is then removed and the epidural catheter is taped to your back. After delivery, the epidural catheter is removed and the numbness wears off over a few hours. The goal of a labor epidural anesthetic is to significantly reduce the pain while leaving enough sensation to feel pressure and push during delivery. The epidural medication generally begins to work within 5 minutes, but can take up to 15 minutes to achieve its full effect. Sometimes your pain relief may not be complete, or it may be one sided. In most cases, changing your position, changing the dose of medication, and/or repositioning the catheter in your back resolves this. On occasion, the catheter may need to be replaced. Be sure to talk to your nurse or anesthesiologist if you have concerns about the amount of pain you feel. There has been much debate and research on this topic. Generally, epidural anesthesia does not dramatically effect the progress of labor and delivery. Sometimes there is a brief slowing of contractions thought to be due to the extra IV fluids given around the time of epidural placement. Occasionally, labor progresses more rapidly after the epidural anesthetic is working and you are more relaxed. One factor important for a good labor pattern is the placement of the epidural only after labor is regular and your cervix is dilating. Statistically, there is a higher rate of C-sections in laboring women with epidural anesthesia. However, this is due to the fact that women who have more difficult labor (due to multiple factors including the size and position of the baby) and intolerable pain are more likely to ask for epidural anesthesia. This same group of women are more likely to require C-section for delivery because of factors unrelated to the anesthetic. A spinal anesthetic is a single injection of medication in the lower back. The medication is injected by a very small needle directly into the spinal fluid where it spreads out to affect the nerves that go to your lower body. A spinal anesthetic is often used as a complete anesthetic for C-sections. However, the dose and type of medication can be changed to act as a pain reliever during labor. Labor spinal anesthesia provides almost immediate pain relief, but only last about two hours. A spinal anesthetic may be a good choice for you if you are almost ready to deliver and need urgent pain relief. A combined spinal/epidural anesthetic is another option. The initial dose of medication is given through the spinal needle for fast pain relief and then an epidural catheter is inserted for extended pain management. Itching — this is not an allergy, but a common side effect of some of the medication. A decrease in blood pressure — this is due to the medications and relief of pain. This is usually counteracted with increased IV fluids and occasionally, medication. For this reason, an IV is placed prior to the epidural. Vital signs of you and your baby will be followed during the epidural anesthetic. Shaking — this is a side effect of the epidural medication, rapid infusion of relatively cold IV fluid, and labor itself. Infrequently, once the anesthetic takes effect, the mother’s uterus contracts very hard. This may cause the baby’s heart rate to decline briefly, but does not harm the baby. Approximately one in every four hundred patients receiving spinal or epidural anesthesia gets a spinal headache. Spinal headaches usually start the day after the anesthetic. These headaches can be painful, but are not life threatening and can be treated. On rare occasions, the epidural medication may go into a blood vessel. A very large dose could cause a loss of consciousness or a seizure. Small doses are normally used for labor. Occasionally, the anesthetic can be too strong and breathing assistance may be required. Very rarely, back or nerve damage can occur. While extremely rare, blindness, major organ damage or death may result from any anesthetic. If you have any more questions about anesthesia for labor and delivery, consult your obstetrician who can put you in touch with an anesthesiologist at the hospital where you are planning to deliver.